The Assembly Campaign will involves the national parliaments of the 47 member states, observer parliaments (Canada, Israel, Mexico), the European Parliament and regional parliamentary networks (Nordic Council, Gender Task force of the Stability Pact for Southeast Europe). The main European NGOs active in combating domestic violence (Amnesty international, the European Women’s Lobby, Women against violence in Europe, the White Ribbon Network, etc) are encouraged to contribute to the PACE action. • The Parliamentary Assembly can provide practical information and promotional material to be used by national parliaments, such as the handbook for parliamentarians, white ribbons, leaflets, posters, etc. 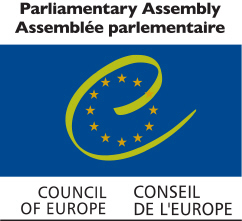 • The Parliamentary Assembly has - in close co-operation with its national delegations –set up a network of contact parliamentarians to identify and highlight the initiatives taken by various national parliaments during the campaign and thus encourage an exchange of examples of good practice between parliaments.